We know there is a need to continue to support small independently owned businesses. Did you know that for every $100 you spend at a locally owned and operated business almost $96 goes back into the local economy? 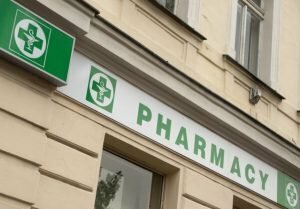 Aside from the obvious financial reasons to support a small independent business, when we are talking about an independent community Pharmacy, the stakes are even higher. The reasons why an independent is better than a chain are ones that can have a much greater impact on the health of an individual or a community than just economic ones. Below are 4 reasons to support Independent Pharmacies over a chain. You have the opportunity to build a better relationship with your local independent Pharmacist. Your level of customer service improves when using an Independent because of the opportunity to get to know your Pharmacist. Chains typically have higher turn over rates so the opportunity to grow that relationship with your Pharmacist as a trusted healthcare provider is lost. Utilizing an independent is better for your health and your peace of mind. Unhampered by the decisions of a huge corporation, your local Pharmacy can offer more services that are tailored to the specific needs of your community. Just think of your locally owned independent Pharmacy as a one stop shop for healthcare related items. Your local Pharmacist can be a great resource for information and products that improve your health and well being and make your life easier. Chain Pharmacies tend to be understaffed which results in longer wait times for you and your family members. If you are short on time due to your busy life or you would rather not spend more time than necessary standing in line or sitting in a hard chair at the Pharmacy then go to your local independent Pharmacy! When you shop at your local Pharmacy you are supporting a person or family that cares about your community. They care about your community because they live there too! Your local Pharmacy owner chose to take the risk of opening a business to help the health of their local area. They may have children in the local schools. And chances are, they spend their money at local restaurants and businesses. More money goes back into the local economy when you support an Independent.